Brought up in Germany, Richard immigrated to New Zealand in 1982 and used to live on a lifestyle block with horses, poultry, goats and he bred collie dogs. He used to milk the house cow in the morning, change quickly into his suit and go to work in town. Michelle grew up in New Zealand on a big market garden in Hawkes Bay; her job was to collect eggs and help her dad pick produce and sell it at the auctions. She got a bit of a fright when she was chased by a headless chicken bound for Christmas dinner. We are non-smokers, very independent, active, practical, fun-loving, very easy to get on with, honest, caring and reliable. We love the outdoors, mountain biking, tramping and travelling, but also staying at home working on our house, maintaining our vegetable garden and looking after Sabrina, our cat or friends’ animals when they are away. Your property and animals are in safe hands with us. We are a retired Kiwi couple ready to explore Europe and meeting new people, getting to know new cultures, communities and furry friends – house sitting is a great way to do this. The kids have left home, so it’s time for us to explore. The tickets to Germany are booked to visit our grand children. 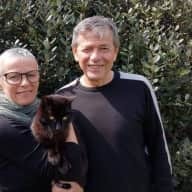 We are available for house sits in Europe during June to September 2019. We have completed a number of 'proper' sits in New Zealand over the last couple of months and looked after friends' animals and houses. Through Michelle's upbringing on a big market garden, Richard's experience on a lifestyle block as well as raising a big family, kids (we have 4 between us) and animals have always been part of our lives. So, we have plenty of experience in looking after a household, property and animals. We are excited about new experiences. What a pleasure it was to have Richard and Michelle sit for us. They are both very kind,considerate and trustworthy people. Our dog Becky Sat with Richard almost as soon as they arrived and very happy to stay with them. The house and garden was looked after, we really couldn't have asked for more! We have known Richard and Mish well for about 15 years and trust them implicitly. We know them to be trustworthy, truthful, careful and considered. They have a lovely home that is stylish and full of all the good things in life which they keep tidy and clean. They have a cat, and also love dogs - we often see them with a friend's playful pooch who loves them and who they get on well with. 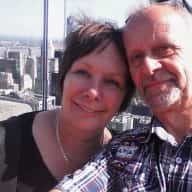 This is to confirm that I have had close and consistent association with Michelle Nicole and Richard Molitor having lived as near neighbours and close friends for over 25 years, while I lived inAuckland. Michelle and Richard are exemplary in their living habits and of good character. Both are fastidious in the cleanliness of their living space and the care they give their immediate and wider environment. They have a beautiful garden which they gain great pleasure from cultivating and from which they have harvested a consistent supply of vegetables and greens to feed their family of four children. Both are loving, caring and involved parents and grandparents. They are kind to animals having nurtured a traumatised rescue kitten to a grand old age. Michelle and Richard are a lovely and loving couple who would only enhance any home they care for, leaving it in impeccable condition on their departure. I am very pleased to give a recommendation for Richard Molitor and Michelle Nicol as house-sitters or similar. I’ve known Richard and Michelle for 30 years as friends. They are well-respected people in the Devonport community, having involved themselves in a number of community activities over the years. They are energetic, enthusiastic, and positive people. They have many close friends and have maintained good relationships with their neighbours for a long time. They are responsible pet owners. Their house is always maintained to a high standard, impeccable housekeeping and they are keen gardeners – they put me to shame. Richard is a retired IT project manager who until recently worked at AUT where I am aware he was highly regarded. Michelle is a dental therapist and she too was well respected. Richard and Michelle are highly trustworthy and responsible and I would have no hesitation in having them stay in my house. I am happy to be contacted any time. 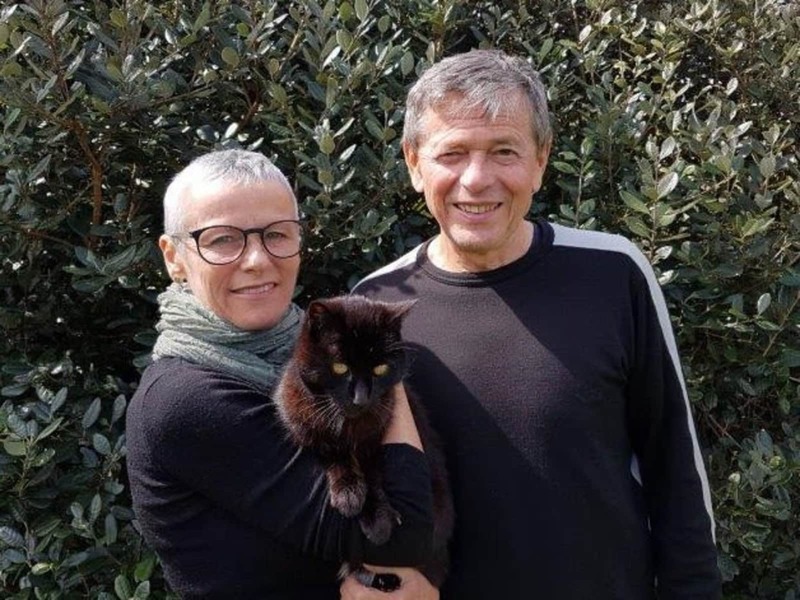 I have been acquainted with Richard Molitor and Michelle Nicol since the early 1990's but more recently, on my moving to Devonport in 2013, they have become good friends. They are a loyal, friendly easy going couple with a great sense of commitment to eachother, their family and their friends. During the time I have known them they have always been responsible and reliable. I have visited their home often and it is always not just clean - but meticulously clean. The garden has also always been well kept with lawns mowed and their substantial vege garden tidy and free of weeds. My husband's work means that I need to travel with him overseas from time to time. During these times, Richard and Michelle have watered my plants and come in on a weekly basis to ensure the house is in order. While here, they turn lights on and off for me as a security measure i.e. to give the impression that the house is not unoccupied. They have also, on occasion, looked after our dog Hine (a border collie/huntaway cross). Richard and Michelle are a very capable couple for a house sitting assignment. Richard is a practical person and is well capable of addressing any small maintenance issues that may unexpectedly arise. I recommend them unreservedly and without hesitation. You are welcome to contact me for a verbal recommendation should you require it. I have known Richard and his partner Michelle for about 25 years and we have become close personal friends. 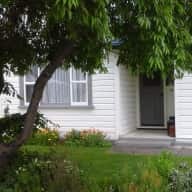 During this time they have purchased their own home in Belmont, Auckland which they have renovated and maintained to a very high standard . They have created a warm welcoming home with lovely surrounds and a productive vegetable garden. They also have rental property which they have developed and been involved hands on in the landscaping. Richard is an IT professional and has held positions where he has had a lot of responsibility and led teams. Michelle has been a healthcare professional in the position of caring for clients. I own and let property and I know how important it is to leave your home, plants and pets in the care of someone that you can trust and rely on . I fully recommend Richard and Michelle if you are looking for someone like this. They are mature people and aI find they are very trustworthy and totally reliable and completely honest. They take great care of their home as they will do yours and are guaranteed to keep it in a very clean and tidy state at all times. They are great communicators and very personable as well as fun which will make for an easy friendly relationship. They are also fit and active people who like the outdoors and walk regularly so you can be assured that your pets will be well exercised. I hope that you have them house/pet sit for you as I know that you will both be enriched by the experience.